Home » No longer a virgin. We are no longer camping virgins. 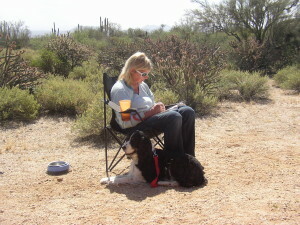 Our first trip was to camp out in the McDowell Mountain Park for 3 days and nights. Being newbies at this we chose the site because it did have bathrooms and running water. 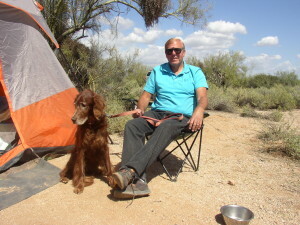 We set up the tent with no problem. The first day and night were fun. The second day was sunny but very windy. So windy it took 45 minutes for water to boil on the propane stove. Very few other campers around but that was okay, until we heard a pack of coyotes howling and realized there was just fabric between them and us. The nights were very cool, almost cold. but with sweatpants on and two dogs to keep us warm it was okay. The third day was the challenge very windy, cold and it started to rain. No fun taking the dogs for their potty breaks. Two soggy doggies in the tent. Finally the sun broke through the clouds around 2 PM and it warmed up. What we learned. 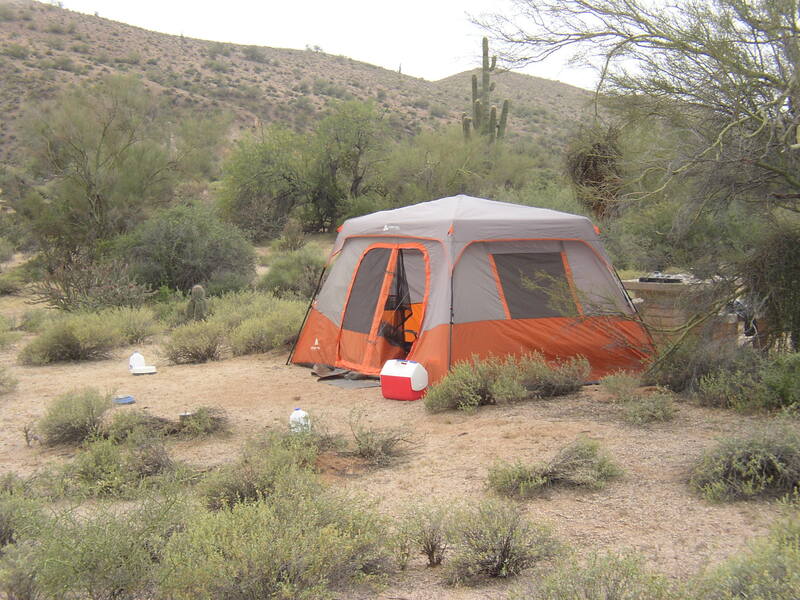 Keep a rug outside the tent to help keep dirt out. Buy a better cooler to keep the ice frozen longer. Bring extra propane cans. Don’t forget the tub to wash the dishes. And always bring warm clothing and a rain poncho no matter what the weather man predicts.